Most people think that they have to deal with or get rid of their anxiety, but this could not be further from the truth, because the more you try to get rid of your anxiety the more intense and frequent it becomes. Focusing on your anxiety will just make things worst, the only thing that you should be focusing is, learning how to manage your state and learning how to be more mindful combined with making some healthy lifestyle changes that should involve regular relaxation techniques. When you are experiencing high levels of stress, worry and tension, then your amygdala's, which are the part of the brain that deals with emotions and the fight or flight response, become more heightened and aroused to danger. All that adrenaline and tension in your body, will keep your body pumped up and primed for action and your emotional brain will remain stuck in a state of constant fear and anticipation. Fear and anxiety are an emotional and physical state, and many people get trapped in the fear state and survival mode. Your emotional brain and senses, which deal with fear, respond to your state and your environment. Therefore, if your body is always in the state of stress and anxiety, then this will perpetuate more feelings of fear, and this can get out of control and become a self creating process. Things that can help you to lower your anxiety levels are mindfulness and meditation, and this has now been backed up by science. Research conducted by David Cresswell, who used brain scanning equipment on a select group to record brain activity, revealed that mindfulness and meditation can bring down your anxiety levels. Experimental trials conducted on subjects who were all experienced high levels of stress and anxiety, proved that by using mindfulness meditation they were able to lower the arousal of the amygdala, which is the brain's emotional fear alarm warning system and stress response control center. The amygdala's, are the part of the brain that deals with memories, neural associations and emotions, and also, the part of the brain that can instantly and involuntarily activate the stress and fight or flight response at any given moment. This part of the emotional brain, becomes more emotionally aroused and goes off more frequently and uncontrollably during periods of high levels of stress and anxiety. Therefore, when you reduce your stress and you use mindfulness to curb your emotional reactions and arousal, you will prevent all the excessive anxiety and stress. The trick is, to learn how to detach yourself from all those anxious thoughts and fearful responses, and you can start to achieve this by, refusing to run with your fearful emotions. Once a fearful response or a series of anxious thoughts becomes activated, you cannot deactivate them, so the best thing you can do, is to keep the stress responses down to the bare minimum. If you keep on reacting negatively to your anxiety, it will get worse, that's they way the mind and body works. The less attention you give it, the less intense it will become. The thing to understand with anxiety is, you do not have to try and deal with it or get rid of it. In fact, you do not have to do anything, because if you make any attempt to stop it or resist it, you will hold onto it and you will increase your anxiety levels, which is not what you want. The best thing you can do, is to forget about it, axcept that everybody experiences a bit of discomfort from time to time, and if you do, then do not make a big deal about it, and definitely don't try to get rid of it by thinking about ways to get rid of it. Because, thinking about it or focusing on it has never helped anybody cure it, neither has trying not to feel anxious, all it does is, it forces you into a daily battle and a struggle with your thoughts and feelings, and a battle that will defeat you every time. So don't fall victim to this mentality trap that you somehow must find a way never to feel anxious again, and give up your daily battle with your anxiety. The first step to overcoming your anxiety, should be, not to spend any time thinking about it or focusing on it. Some people who have suffered with anxiety for a long time find it hard not to focus on how they feel all the time and they are constantly monitoring and reacting badly every time they feel anxious. In the end, it almost becomes a normal part of them, which they keep on hanging on to. A better option would be to disregard the anxiety tag, and just call it an energy shift. The opposite state too anxiety and stress are, relaxed, this then makes sense that instead of trying to resist and get rid of your anxiety, which is a complete waste of time and energy. The best option would be, to focus on relaxation, and meditation is still one of the best ways to relax and rid your body of all those harmful toxins that are being pumped in your body everytime you get overly stressed and anxious. There are two things that you should consider doing, one is making it a habit to spend around twenty minutes a day relaxing deeply, because the long term benefits that you will gain if you stick at it are priceless. If you think that you have not got the time to allow yourself to relax deeply and begin to reduce your stress and anxiety levels, then think about the risks and damage that you're doing to your health and well-being if you ignore your stress and anxiety. You can also learn how to be more mindful too your anxious and stress provoking thoughts that you have during your day. When you notice any anxious thoughts, be aware that they are just thoughts and feelings and they do not necessarily represent the truth. People are always trying to find ways to stop their thoughts, but this is a futile task, and the funny thing is, the more you try and stop them the more your mind will return to them and the more you will react with fear to them. You do not have to do anything to those unwanted thoughts, just allow your mind to think the fearful thoughts and all you have to do is smile and allow your mind to carry on thinking them and soon your mind, if you leave it alone, will return back to a state of calmness all by itself, so long as you do not react badly to them. The more you practice meditating or relaxing deeply, the less and less anxious thoughts and feelings you will have, and this will start to put you back in control. If you do have any anxious thoughts, then you can simply let your mind think them and let them come and go peacefully, whilst you carry on with what you're doing. Most of people's anxiety is usually a result and an accumulation of prolonged periods of worry and stress. For whatever reason caused your stress in the first place, when you become stressed it triggers the release of adrenaline into your body. The adrenaline triggers physical responses and changes in your body, such as tightening of the muscles, rapid or shallow breathing and more blood are pumped into your major muscle groups which is all designed to give you a rapid boost of energy so you can run or fight off the threat. In a real life threatening event you would use up all that extra energy and once the danger had passed your body would return back to its natural calm state and your mind would become still again. People who suffer with high levels of stress and anxiety, do not return back to their natural resting state, so what happens is, they get stuck in a state of constant danger. This will push up their anxiety, needle closer to the point where the fight of flight gets triggered, when really it should be set closer to the point of rest. Due to the mind body connection, and they both use feedback off each other to try and make sense of, why the body is in the fight or flight state, it causes much confusion and inner conflict. The feedback from your body, your environment and your imagination, is all sent back to the emotional control center in the brain. If you're worried and anxious all the time, then your emotional brain will interpret this information as, something bad must be going to happen, because the body is all pumped and prepared for a threat. When you're stuck in a state of stress and tension, your emotional brain will carry on believing you're in danger or there is a risk ahead, and your senses and your emotional part of your brain will continue to search for a threat and scan for danger, hence all the anxious thoughts and what if imaginings. Add on top of this, all the worry people get engaged in, then they never give their mind and body a chance to resume their natural resting state. Even at night time when they're sleeping, their mind still stays to active ad alert, so they either struggle to sleep or they get a restless poor quality night's sleep. Bad sleep will cause you to suffer in many ways the next day, it will affect your mood, your performance levels, your stress threshold, your relationships to name a few. This pattern and cycle will become self perpetuating, and your body becomes a permanent anxiety factory, constantly churning out more, worry thoughts, negative what if scenarios and fearful responses. Your thought processes tend to match your current state, a tense body will mean more tense thoughts and an anxious state will mean more anxiety and worry related thoughts. Some people try to change their thoughts to change their state, but as your mind deals with feelings, it is a lot easier to change your state, and then learn to be mindful so you can detach yourself from any anxious thoughts, just breathe in, breathe out, observe peacefully and let the thoughts go and focus on something else. Change your state and your thought processes will change with it and meditation is a great way to help you change your state as well as teaching you to be more mindful, and when you're feeling deeply relaxed, you can use some positive self talk to reassure your anxious mind and change those unhelpful negative beliefs. Meditation is great for reducing anxiety and stress as it will return your body back to an inner state of calm and ease, so you will have more energy, you will sleep better, you will feel better and you will live more positively. Tests have been conducted on Tibetan monks to record their brainwave activity at the peak times once they had reached their deepest levels of meditation, the Monks that took part in the trials had between 30 to 40 years of practicing and honing the art of meditation. When you can reach these deep states of relaxation like the Monks do, you can switch off from the troubles of the world around you and move into your own inner safe haven and place of total peace and tranquility. The Monks are able to reach such deep states of relaxation, harmony, peace and inner stillness on a daily basis and thanks to their meditation sessions they have been able to move beyond fear, anxiety, stress and all negative emotions as they transfer their awareness to a euphoric place of balance and contentment. The gamma brainwave results and levels, which they regularly achieve are thought to be responsible for why the Tibetan Monks have been classed as being some of the most stress free, happiest and most relaxed people on the planet which they put down to the amazing benefits they had gained through their meditation practices. The one thing that stands the monks apart from most westernized people is they are still happy, at ease and content even though they do not have all the material possessions and lifestyles of western people. This proves that our spiritual needs and emotional well-being should always come first and should always be our number one priority and you need nothing more than to still your mind and relax your body to obtain natures natural and free high. Countless other studies have also concluded time and time again that meditation is still probably the best way to calm the mind and relax the body which will help you to reduce your stress and anxiety levels. Although meditation is widely known to help you to reduce stress and anxiety as well as lower your blood pressure the test also revealed that the benefits of regular meditation go far deeper than was originally thought. Buddhist Monks have for many years now believed that meditation can help to physically change brain functioning which can promote improvements in various cognitive functions and recent studies have shown and backed up these claims by stating that meditation can also help preserve and even improve some illnesses as well as help you to break and change bad habits. Meditation is believed to change your genes and your brain functioning, and some reports have suggested that our genes shrink in size when we are anxious and stressed. One of the most exciting new studies in the field of epigenetics was published recently, it revealed that mindful meditation alters gene expression in many beneficial ways and meditators have also shown positive and encouraging changes in brain function. Although you should not solely rely on meditation alone to heal yourself (if you are suffering with any serious illnesses you should always consult with your doctor) when you combine it with modern day medical skills it can be a great tool to further help you to repair the body. This is down to the natural and soothing effect it promotes which has a calming effect on the mind which in turn strengthen the energy of the body. For those people who live a relatively stress and anxiety free lifestyle as a general rule will suffer far less with things like everyday colds and many other health related conditions and they will experience a general sense of gratitude and emotional well-being. Some people claim that they do not have time to deeply relax, but in reality if you consistently suffer with damaging high levels of stress, worry and anxiety then relaxation is a necessity that you need to make time for. Although many people see the mind and body as two separate entities, they are in fact one whole and both can have an influence on each other, therefore you can use your body to help you calm your active and tense mind. Throughout our day we come across many physical and stressful challenges which can all have a negative effect on our bodies. So, it pays to be aware of your body and how it reacts to the many outside stimuli and challenges, because tension in the body caused by tense body postures and movements can increase your anxiety levels and stressful responses. Tight and tense muscles are linked to the fight or flight response, so if your muscles are tense, this will actually mimic the fear response. Psychological stress or poor posture habits cause our muscles to tighten because of the still primitive ‘fight or flight' response, which prepares and primes our bodies for conflict or making a quick escape. Pay some attention to your body, get out of any tense and unhealthy posture by practicing keeping your body in its natural, healthy alignment and balance, so you release any energy blockages and tension which will allow you to experience more of that flow like sweet feeling state. If you notice your body responding stress-fully to any outside challenges or stimuli, or if it is reacting fearfully to your thoughts, then practice relaxing your body and bringing it back into its natural alignment. To reduce your anxiety, you will need to learn how to relax your body. This is why meditation is so effective, because it slows down your brainwaves, from Alpha down to low Beta. The more you use meditation, the more calm and relaxed you will become, leaving you less likely to respond fearfully to external or internal stimuli. Meditation alone may not get rid of all your fears, you still might have to face them to come through them. What it will do though is, first of all meditation will give you some much welcome relief which will leave you feeling less threatened and challenged and secondly because you will start to feel more in control of your feelings and emotions you will handle life's challenges so much better. You cannot always change the world around and the circumstances you find yourself in, what you can do however is change the way you respond to other people and your external circumstances. If you have slipped into a negative and stressful state and you feel stuck, then meditation is the ideal tool to help you quieten down that racing and overactive mind. One of the main reasons why people struggle to fall and then stay asleep is because their minds are too active. This is where meditation will help you on two accounts. First, it will calm your overactive mind, and secondly, because meditation puts you into such a deeply relaxed state, you will naturally fall asleep easily and you will have a restful and invigorating restorative sleeping, leaving you feel energized and relaxed the next morning. When you create tension and stress in your mind and body then you will come up against your biggest enemy that you will probably have to face in your life because our biggest battles in life are the ones that we have with ourselves on an almost daily basis. We can sometimes have more problems with the constant war that we have with our thoughts and feelings than will ever have with any outside challenges and obstacles. The opposite state of anxiety and stress is inner peace and calm, you can only experience one emotional state at any given time, therefore if you make it your goal to be relaxed and at ease and in the present then you cannot experience negative emotions. Not only is stress and tension, bad for your physical health and your emotional well-being, it will also cause you to attract more problems and difficulties in your outside world. If you have been experiencing prolonged periods of stress and tension, then you run the risks of experiencing health related problems if you don't learn how to keep your emotions in check. If putting your health at risk is not bad enough, it is a well known fact that when we are in a negative state of being than we experience more external problems in our lives and more things go wrong for us. The good news is, just by switching to a more relaxed and positive state and then more importantly, staying in that calm and happier state you will start to function and do things better and as an added bonus things will generally start to go well for you and as you feel better and better each day your life will also get better and better. When you're experiencing stress, tension and anxiety, then what you're actually doing is inviting and letting in more negative experiences and circumstances into your experience. To reduce your stress and anxiety you have to shift and stay in the positive and calming range of emotions as much as possible, you achieve this through practice and repetition. Most of your anxiety and stress was caused through years of negative repetition and negative focus of attention and the best way out it is to start to swing the pendulum the other way. This entails slowing down that racing mind and relaxing your overworked and out of balanced body. If you have suffered with anxiety and stress for a long time now then you might be finding hard to relax and take control of your thought processes and if that's the case you need a helping hand to stabilize you so you can begin to move up the positive emotional scale. Once you are able to quieten your racing mind you will be able to cease the window of opportunity of change, so as soon as your meditation session is over that is the ideal time to take control of your mind and focus on better feeling thoughts. Before you meditate especially for the first few times it may also pay you to do some form of physical exercise or activity to further assist you to burn off that excess levels of adrenaline and tension. Meditation and exercise will help you with those three key areas which are your mind, body and spirit. When any of these are out of alignment, then it will have a knock on effect on the other two which will put your state which is not fitting with who and what you are or what you're supposed to be and experience. When you bring all three back into balance and alignment, then your stress and anxiety will begin to melt away. When you feel those good and positive emotions, life will become so much easier and the universe will treat you kindly as you start to find that new doors will begin to open and exciting opportunities will start to show up in your experience. Regularly meditation and thought control will free you from the imprisonment of negative emotional hell. For peace, understanding and clarity of purpose in life you cannot beat good quality meditation. You may have tried other forms of meditation in the past, and like other people you found it to be time-consuming, boring and ineffective. The good news is, without doubt, meditation is changing, thanks to modern technology the hard, laborious work that was once required to get you into that sort after peak relaxation state is now done for you. If you wish to pursue the more traditional type of meditation, but you're finding it hard to relax and focus especially to begin with then it may pay you to shorten your duration times especially to begin with. Many experts recommend that you do at least twenty minutes a day, but for most people who attempt meditation this proves to be too hard to begin with and they soon get frustrated and end up giving up. But there does not have to be a time limit put on it and for beginners it may be a far better option to gradually build up their length of time. So to start off with if you're struggling, just spend a minute or two, then the next day just increases your time to three to five minutes and each day attempt to gradually increase your time to you reach the recommended twenty minutes. Another popular problem some people have is they claim that they cannot stop all their worry and anxious thoughts. Your main objective should be not to respond badly to your negative thoughts you should just allow them to drift into your mind and away again peacefully. Whether you choose to take the easier route of using modern day technology or you persevere with the more older and more time consuming traditions of meditation that does no matter. If you wish to achieve deep states of relaxation and a life free of stress and anxiety, then meditation is still one of the best ways to achieve it. The trouble is, most people either don't have the time or they find it just too difficult to reach the levels that are required to make lasting changes that can get rid of all that anxiety provoking and unwanted emotional baggage and transform you to an all-natural high. The good news is, scientists have recently discovered a new way of meditating which can short cut you to the levels achieved of the Zen Monks and you can achieve this by listening to a CD. 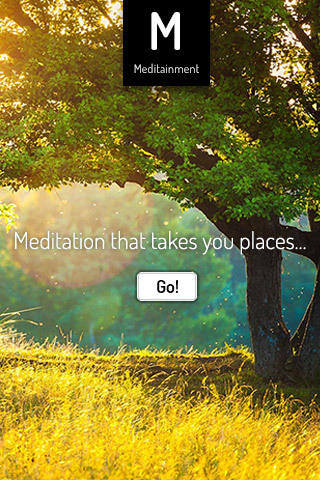 The technology is now available, so you don't have to spend hours becoming a meditation expert. Companies have now created this brainwave meditation technology, which is able to mimic the exact same brainwave states as achieved by the Monks. This means if you have access to a set of headphones and a CD device, then you can also experience the same deep levels of meditation and relaxation of the Monks. The advantage of the meditation program which is the world’s most technologically advanced meditation program is the program will literally do the meditating part for you. This modern day technology can transform and en-train your brain waves to hit those deep states of relaxation, and with a bit of regular use you too can reach those peak relaxation states in under ten minutes minutes of listening, this means no more struggling and tedious attempts to reach those levels yourself. The Meditation Program uses a secret technique discovered back in 1839 that will help you enjoy total relaxation, not only can it reduce your stress and anxiety bit can also help to give you a better memory, greater insights, and more. The technology will transform your brainwaves so you can, you can enjoy permanent happiness and tranquility. When done deep, deliberate and 'done-properly' meditation is the quickest way to achieve inner peace and balance, during the calming and soothing effects of meditation you will also be able to find the answers to your problems and answer those questions you want answering. You may be just a few meditation sessions away from experiencing the ultimate in modern meditation technology, and accessing the keys to your ultimate journey and quest for fulfillment, peace and harmony. Meditation can be the most enjoyable, the most interactive and most fun journey that you have ever experienced, what else in life is better than feeling inner peace and joy. The technology works by slowing down your brainwaves, from Alpha down to low Beta, which will make you feel calm and relaxed, leaving you less likely to respond to external or internal stimuli.